Farmers and food processors only have a few weeks left to put forward ideas and solutions to get rid of red tape. 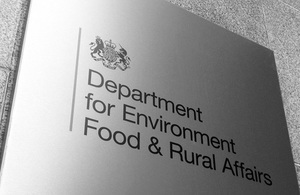 The public consultation for the Farming Regulation Task Force is due to end on 31 October 2010. Priority issues identified by the Task Force include: cross-compliance, the EU Fruit & Vegetable regime, livestock identification and movement requirements; dairy hygiene inspections and meat hygiene controls. But there are others that industry is beginning to identify. dairy hygiene inspections are just one example where assessment is duplicated by official inspectors and private sector audit. Evidence can be submitted online at engage.defra.gov.uk/farm-regulation/ Written submissions can be sent to FarmRegulationTaskForce@defra.gsi.gov.uk or to Task Force on Farming Regulation, Area 8D Millbank, Department for Environment, Food and Rural Affairs, Nobel House, 17 Smith Square, London SW1P 3JR. All comments will be captured and recorded in summary in the Task Force’s final report in 2011.